Hi there! We've got a new CD coming out tomorrow (Friday 27th April!) 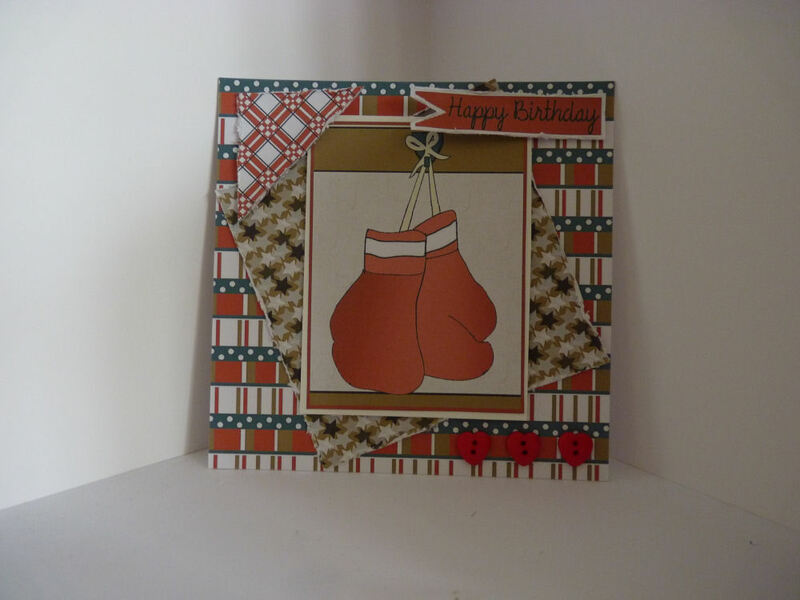 which is especially for the men in your life! The toppers are also very suitable for women (eg. cooking, TV, golf, other featured sports, musical, etc!) so don't think its a one trick pony because it sure isnt! :) Here's a few cards made with the CD as a taster! It's just £7.99 for the first weekend (until 9am 23rd April!) and then will return to full price of £9.99! A new design team member! 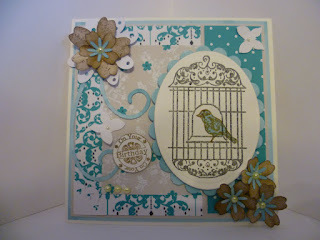 We're extremely proud to announce that Amy Shaw, a very talented lady, is our latest design team addition! Here's a video that Amy has done to explain what's going on! 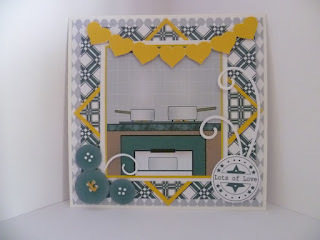 Watch this space (and check out Amy's blog - listed down the right-side of this page) to see just what beautiful things Amy comes up with! 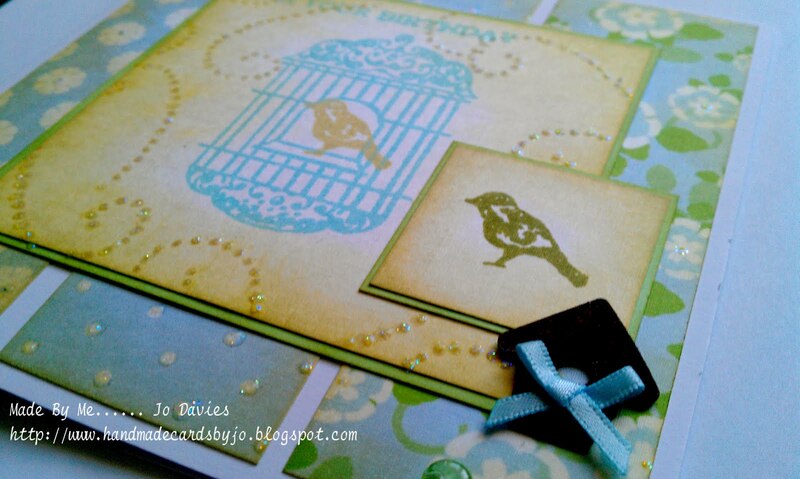 Sorry I've been saving these for large posts - I always kick myself when it comes around to blogging, but I get so excited making the cards that I'm on a roll and just have to keep going and going! 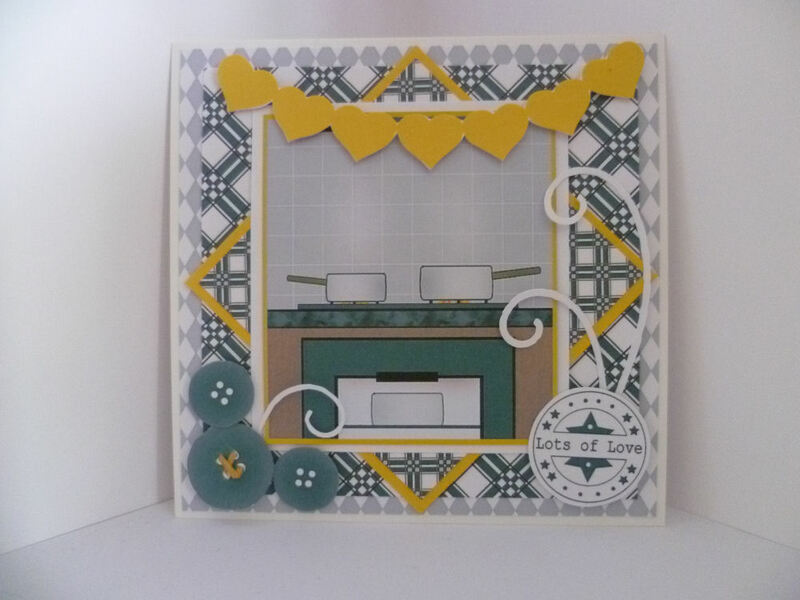 The above card was made with 'Evie sitting down' and papers from 'The Elegance Collection' CD - die cuts are from 'Cuttables Vol. 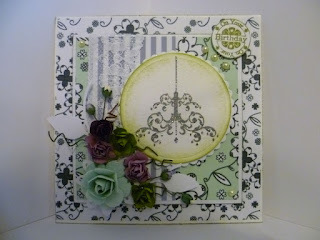 2' - all the flowers are made from die-cuts from this CD layered and coloured with either distress ink or promarkers. 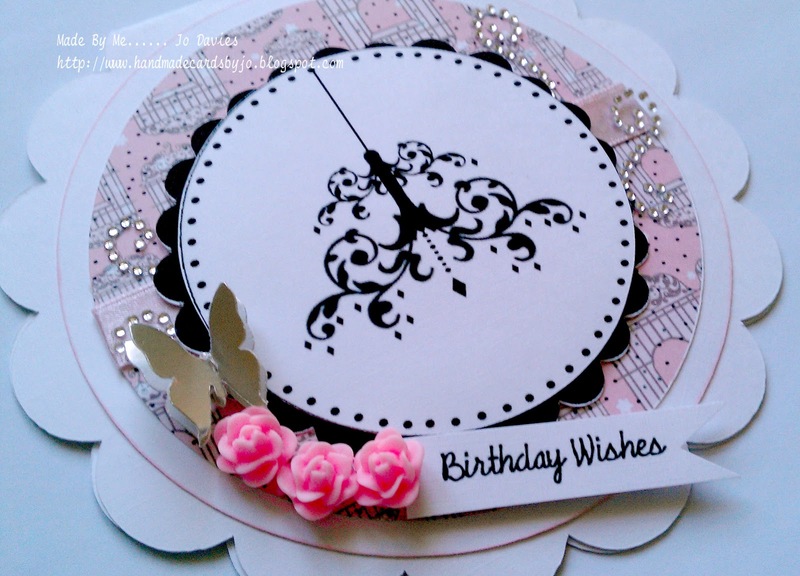 The above card was made with papers from 'The Elegance Collection' CD - die cuts are from 'Cuttables Vol. 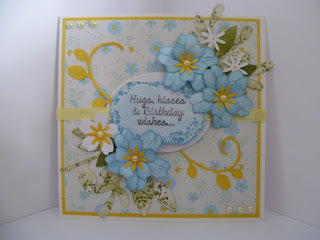 2' - all the flowers are made from die-cuts from this CD layered and coloured with either distress ink or promarkers. 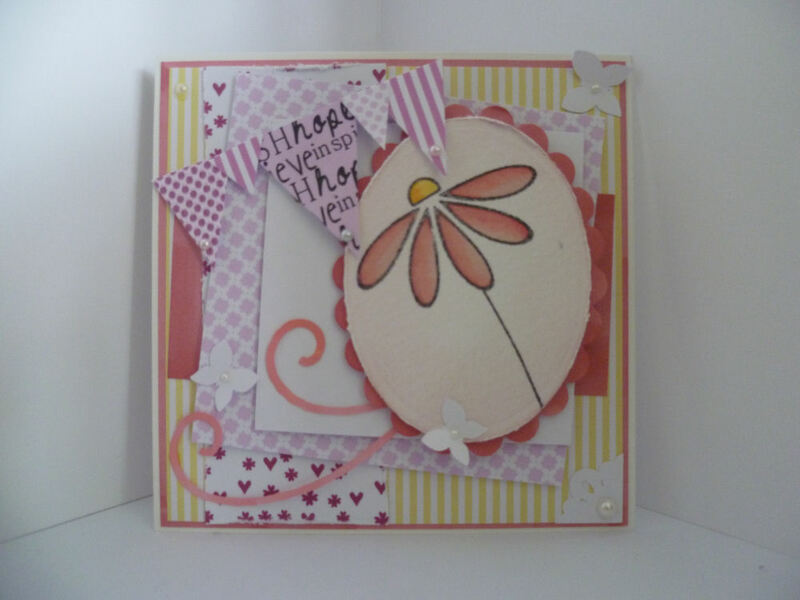 The plaque is edged with 'Cherry Blossom' and the sentiment is featured with 'Evie sitting down' stamp. 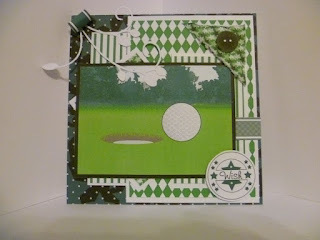 The above card was made with papers from 'The Elegance Collection' CD - die cuts are from 'Cuttables Vol. 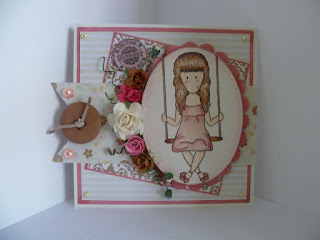 2' - and the topper image is our 'Evie on a swing' stamp. The above card was made with papers and images from 'The Elegance Collection' Stamp set and CD - die cuts are from 'Cuttables Vol. 2' - and the sentiment image is sold within our 'Evie on a swing' stamp set. 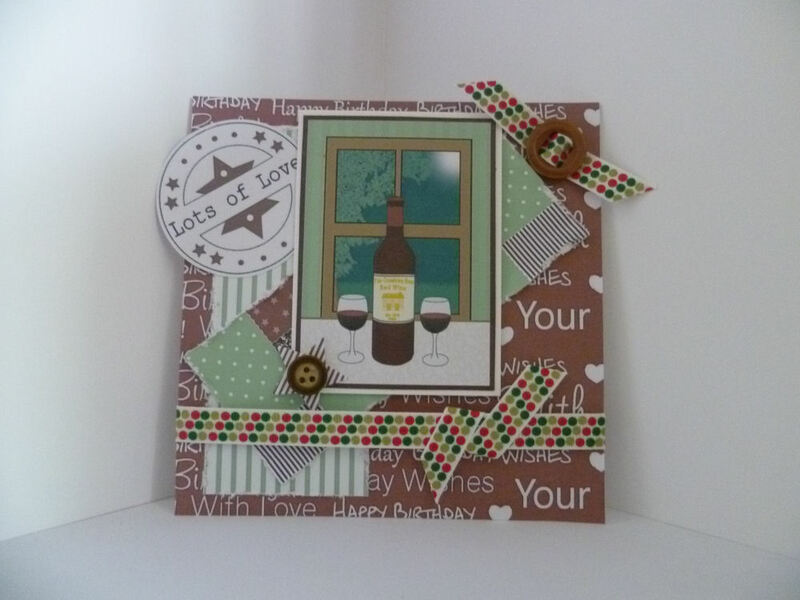 The above card was made with papers and images from 'The Elegance Collection' - die cuts are from 'Cuttables Vol. 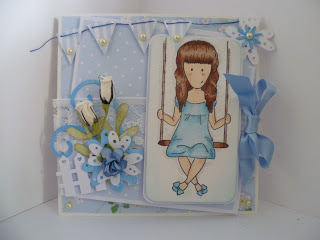 2' - and the sentiment image is sold within our 'Evie on a swing' stamp set. 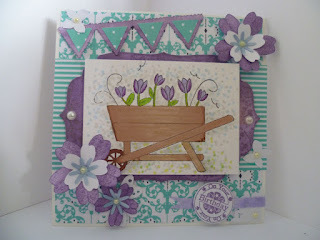 The main topper is our 'Wheelbarrow' clear stamp and the scalloped bunting is now available as a GSD download. The above card was made with papers and images from 'The Elegance Collection' - die cuts are from 'Cuttables Vol. 2' - and the sentiment image is sold within our 'Evie sitting down' stamp set. 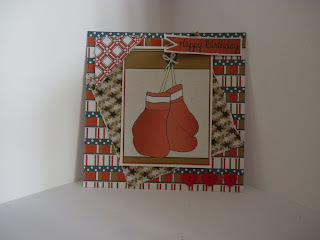 I also used our heart bunting GSD file. 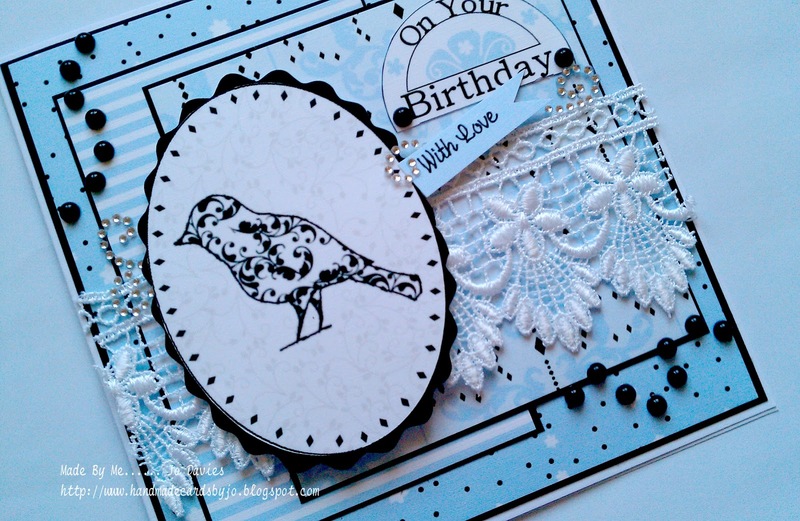 Now, these three cards were made by our very talented Jayne - you can view her blog here where more details of these cards is listed! Thanks for looking & I'll see you again soon! This is a big one...! 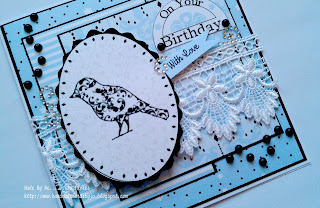 I do have LOTS of cards to share - most of which are from our extremely talented design team and some made by us at Dreamees! Now, these ones are made by Jo! 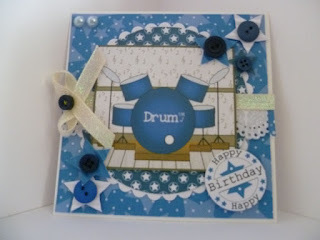 And finally, a few from Dreamees HQ! The tag above has been made with papers from 'The Elegance Collection CD', the main image is 'Evie Sitting Down', along with the sentiment stamp from 'The Elegance Collection Stamp Set' - coloured with pro-markers (video tutorials HERE) with some various paper tea-roses and a bit of ribbon! 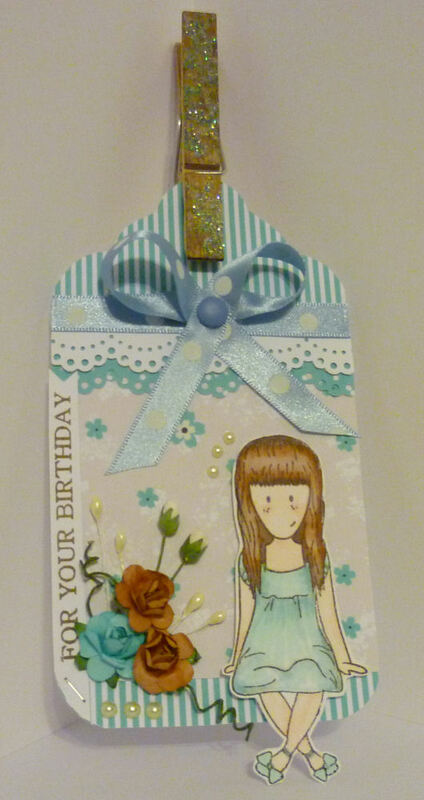 A normal peg has also been used to embellish at the top of the tag, I stamped a chandelier from 'The Elegance Collection Stamp Set' with 'Broken China' distress ink and added glamour dust on top with a quickie glue pen! 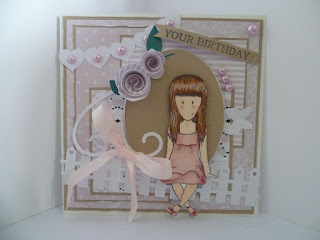 The card above has been made with papers from 'The Elegance Collection CD', the main image is 'Evie on a Swing', along with the sentiment stamp that comes with her has been used in the top left corner. 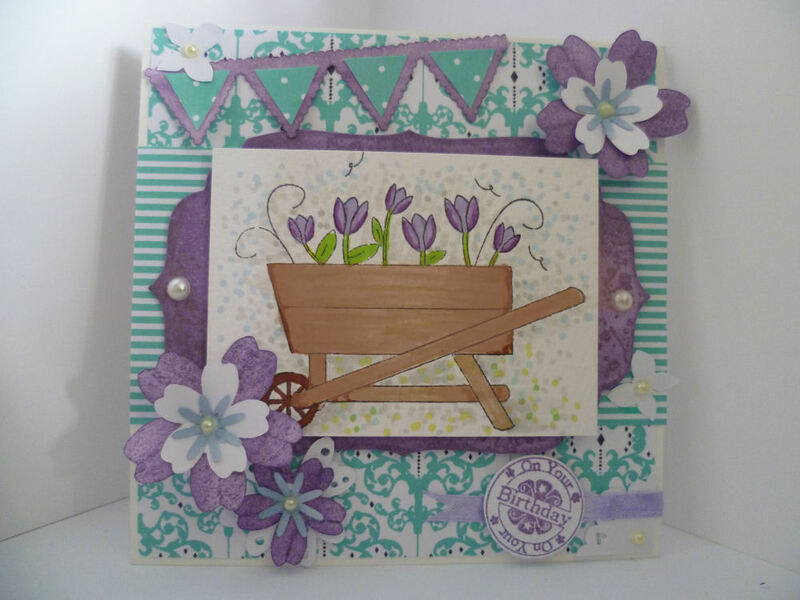 The above flower arrangement has been made with our beautiful 'Forever Florals' double CD - it's a point of display for our stand at the NEC in November and is just the start of how amazing our stand will be looking! I can promise you, it's going to be worth seeing! 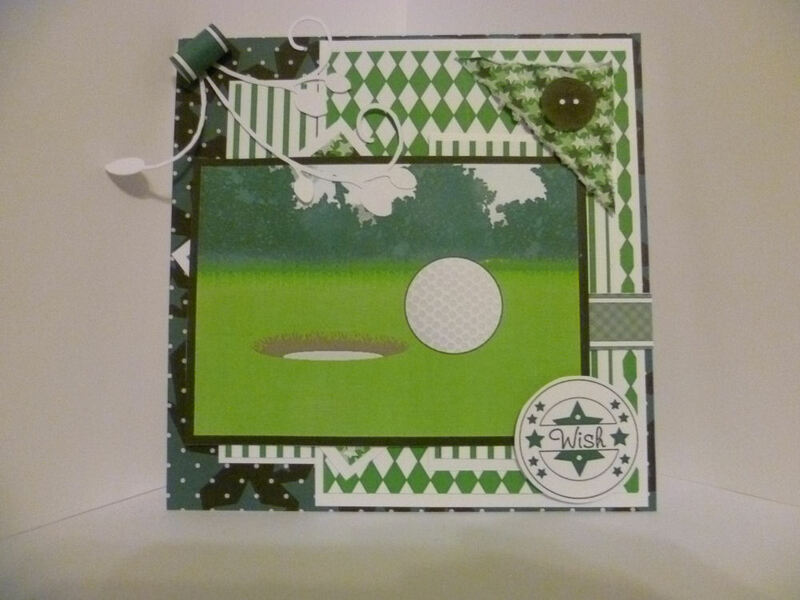 And, this final card has been made with our April Freebies that are available to our members - they'll exclusive for members and will not be available to anyone who registers as a member fter April - you can register here for just £5 for the year, regardless of when you join. 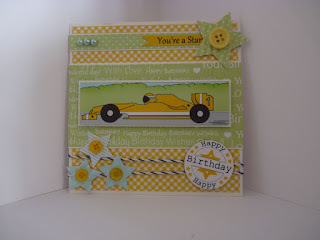 Hope you like all these cards!